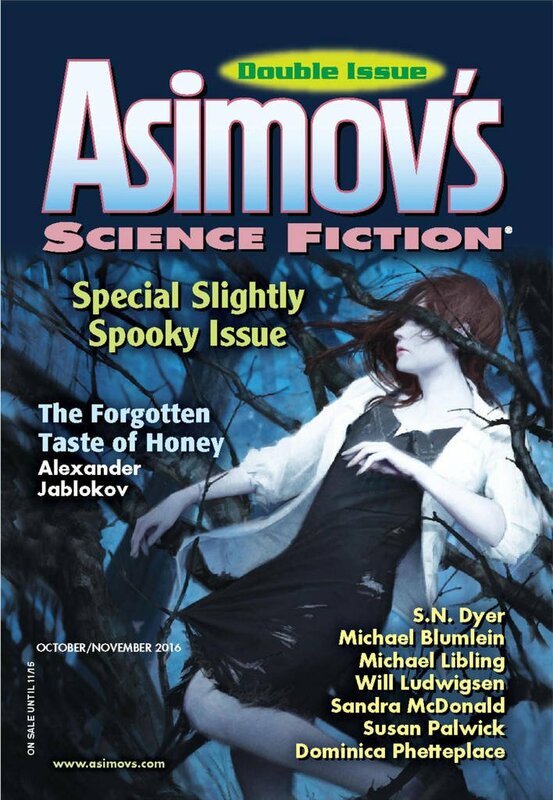 "The People in the Building," by Sandra McDonald [bio] (edited by Sheila Williams), appeared in Asimov's Science Fiction issue 10-11|16, published on September 22, 2016 by Penny Publications. Pro: This story is filled with tension, and its strongest point is the way it gradually reveals what actually happened--and what's about to happen. Con: There's no dialogue, so none of the characters comes to life, and the ending is a disappointment.